Imagine it is the middle of the day, you are on your lunch break, scrolling through your Facebook newsfeed and suddenly you get a call from an "Unknown Caller". What do you do? Do you pick it up? Or do you let it go to voicemail? If you said you would let your call from an Unknown Caller go straight to voicemail, then you understand the mindset of the average real estate lead. Most people will not answer a phone call from a number they don't recognize. You are likely to still let it go straight to voicemail, even if it is from a person you know. 80% of all calls go to voicemail. 90% of first-time voicemails are never returned. If you are the type of agent that makes phone numbers required on your website's lead capture form. What should you do to make sure your lead answers the phone? This is a method you can use. Feel free to alter it to match your personality or style. After you call your leads, we recommend to have a CRM with email and/or social media nurturing software to maintain the engagement of your leads...regardless if you can talk to them or not. 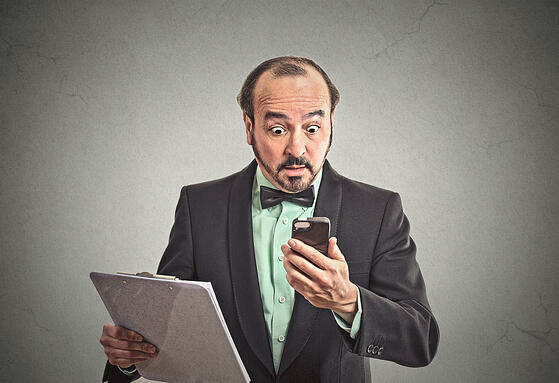 It is unlikely that your real estate lead will pick up the phone. Some people will be prone to google the number that just called them. This may help your cause if you have your phone number displayed on your site. Don't sweat it if they don't pick up, move on to the next step. If they see the same number calling them a second time, there is a higher chance that they will answer. It is not guaranteed they will answer. If they don't, you will want to leave a voicemail. You should not automatically disqualify the lead, if they did not answer the phone on the first day you tried to contact them. Working online leads can be tedious and will require persistence. It is important that you continue calling them just to check in, even if you already spoke with them. Continue checking in on your lead. If you have talked to your lead already, this is a great way to show them you appreciate them and want to provide good service. Call just to check in. If they have still been unresponsive, then don't worry about it! They are likely still doing their research and are not ready to talk to you yet. Continue contacting these leads, as responsiveness is a highly admired quality in a real estate agent. Show these leads that you have not forgotten about them, and that you will be there for when they are ready to open up. After the first month, start contacting leads on a monthly basis. Home buyers can take a few months to incubate into a transaction. Give them some space as they are likely still researching. Remind them of the resources available on your website, and let them know you can answer any questions they have. Buying a house is expensive, and homebuyers will want to do all their research on homes in the area before making any commitments. They will also want to do research on you as an agent. Don't dismiss these leads due to being unresponsive. If you stop calling them, they will go to one of your competitors instead. Learn how Zurple can help you convert your online leads.